I finally got around to finishing the original season of the podcast “Serial,” in which the case of convicted murder Adnan Syed is re-evaluated in detail by investigative journalist Sarah Koenig. Syed’s defense attorney was a woman named Cristina Gutierrez (now deceased), who was known at the time as a “pitbull on the pant leg of justice.” A tireless advocate for her clients, she went above and beyond to defend their cases. This description of Gutierrez by Sarah Koenig really stood out to me. “She did the first, or at least one of the first, DNA cases in Maryland. Let’s be honest: How many of you work this hard to make sure your topic and concepts are understood by your audience? And when you’re in the room with your audience, are you reading their reactions to see if they’re with you, or do you just blow through your content, unaware of whether your audience is following along? I work with a lot of clients who speak and train on complex topics. Over the years, my clients’ topics have included companion diagnostics, affect regulation, Six Sigma certification, private capital markets, securities fraud (from the mouth of the felon himself! ), the Affordable Care Act, and structured empowerment, none of which were familiar to me when I started working with the client. One of my gifts is to help my clients make a topic I know nothing about understandable to a lay audience! However, some people hear “dumb it down” when I say “simplify.” But these are two different things. 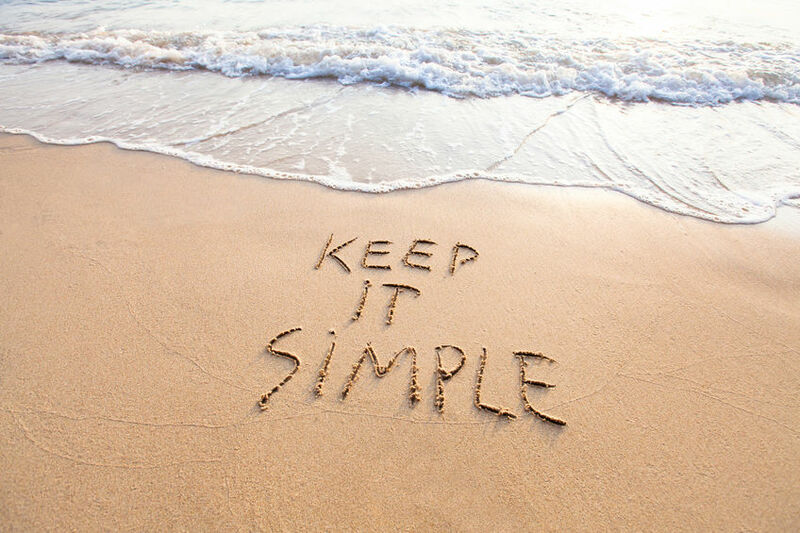 Simplifying means using plain English instead of jargon and acronyms. It means understanding where your audience is coming from and describing terms in ways that relate to what they already know about the world. It means using clear examples and analogies. There’s a reason a “pie chart” is called a “pie chart:” pretty much everyone in the world can envision cutting a pie into slices! This is not a “dumbed down” explanation of a pie chart, but rather a simplified explanation. “Dumbing down” implies just that: your audience is dumb. It really comes from a place of disrespect. Whereas simplifying comes from a place of respecting your audience and figuring out what they need in order to navigate your possibly-complex topic. Cristina Gutierrez practiced her explanation of DNA on children, but that doesn’t mean she spoke to jurors like children! It means she boiled down the topic to its simplest components and then delivered that to intelligent adults in a way that made sense to them.